Should Sparano move Jason Allen back to safety? Post subject: Should Sparano move Jason Allen back to safety? Three different regimes have tried this former first-rounder at safety and all three concluded he wasn’t intelligent enough to appropriately diagnose plays at a high level. But considering the Trifecta primarily uses Allen as a backup nickel back and special teams contributor, what’s the harm in giving him one morechance at safety, the position he excelled at in his college career at Tennessee. It’s not like they are banking on Jason Allen being a regular contributor. 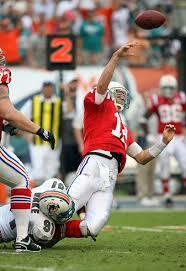 Post subject: Re: Should Sparano move Jason Allen back to safety? Allen has shown nothing but promise when given the opportunity. The problem is he can't seem to find the field. Every coach he has had in the NFL expressed surprise at how well he plays when they've had to play him due to injury. Otherwise, he would've never sniffed the field. That's the big puzzle. He has size, speed and is a ball hawk. I think he would eventually thrive at FS. That's a good point, JP, but I went with a "yes" on this. 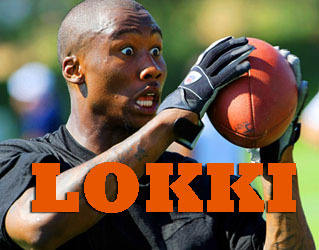 I think too much of his play-making ability is left on the sideline. With Will Allen back, I think he will see a smaller role this year and see the field even less. Well, he filled in for Vontae after he broke his wrist in the Steelers game and JA did a fine job. This past yr, Allen has shown better ball skills than he has in the previous 3 seasons..combined. So unless they just feel he needs to be in the mix at FS, leave him at Cb. 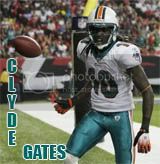 I agree that Miami should give him a shot at safety while he is still on our roster as it certainly wont hurt. On the other hand, he has had PLENTY of opportunities to see the field and people seem to be so high up on him, yet every regime seems to say the same thing and that is the comments about him not playing so smart. Give him another chance, so we can either be pleasantly surprised that over three years later our former number one draft pick actually lived up to those lofty expectations. He either has the ability or he doesnt. If he doesnt see the field this year, perhaps people will stop bringing his name up. I think JUNKIE named one of his kids after Jason Allen!!! I'm going to say slow upstairs. His ability takes over on the field when he doesn't have to think about what he's doing. Playing nickle, or corner, keeps it simple for him. Safety has quite a few different roles depending upon the defense. At CB its either man or zone. Nah, leave Jason where he is. Just get Eric Berry. Jason's got some value, picked up a few Nickels, played some decent Special Teams, & is a replacement in a pinch. I think a better poll would be how many years will Jason Allen be able to hold a roster spot!! Wow, if y'all are going to start Jason Allen, its going to be another looong year & a high draft pick next year. Jason couldn't beat out Gibril Wilson & other weak contenders. Please explain when Jason went up against Gibril last year? Allen played CB last year. Gibril was a safety. Two different positions. Jason Allen was Ted Ginn before there was Ted Ginn. Leave him at Cb with Nate Jones gone he will play more as a nickel with maybe Will Allen moving to Free safety. maybe Will Allen moving to Free safety. I would be surprised if he is asked to move to safety, and he probably would fight the move. He's still a very good cornerback. I guess it depends on how he comes back from his injury. Why is it that so many people think that we can just "move" a guy from CB to FS? I see this suggestion at least 3 times a week. "Let's move Sean Smith to FS (even though he showed amply last season that he can't tackle worth a darn)." "Let's move Vontae Davis to FS (even though he has never been anything other than a CB)"
"Let's move Will Allen to FS (even though he is WAY too small and doesn't tackle well enough to be the last guy)." "Let's move Jason Allen to FS (even though he hasn't been able to see the field much under 3 separate regimes, including the one that drafted him in the 1st round specifically to play FS)." It doesn't work that way in the non-madden world guys. Okay kind of a random thought be has anyone thought that Sean Smith would make an excellent FS. The guy is tall, plays the ball well, has great hands and decent coverage skills. My head tells me move him to FS, move Will Allen back to CB and leave JA as the nickle. Last edited by NFLJunkie on Sun Mar 21, 2010 6:11 pm, edited 2 times in total. I guess if Bill Belichick thought the way you do Troy Brown would've never seen the field as a FS and NE wouldn't have won a superbowl that season. Not that all experiments work but successful coaches are good at finding what positions best fit a players strengths despite what position they've played most of their career. Troy Brown never played FS, he was a nickelback and was put there out of necessity in the middle of the season with injuries....not taught how to do it at the beginning of the offseason so that the team could ignore the position and go elsewhere with free agency and draft picks. Get your facts straight, then create an argument that is actually relevant. Yowser, but that's what the thread is about ... moving Jason to Safety yet another time. The coaches thought bringing in Gibril (cut by everyone) was a better gambit than moving Jason back to Safety. Jason was drafted as a Safety. ATTEMPTED to play plenty of Safety. Moved to CB. Moved back to Safety. Moved back to CB. Jason played Nickel last year & filled in at CB. What is Jason a CB or Safety? Seems to be a hermaphroDB, with a bulls-eye on his forehead ... all the QBs target him. Thus my comment, his Roster Spot is not long for our Phins. tick tick tick. "Let's move Jason Allen to FS (even though he hasn't been able to see the field much under 3 separate regimes, including the one that drafted him in the 1st round specifically to play FS).". If Allen was drafted to specifically play FS, then why did he start his rookie campaign being moved from CB to S then back to CB? Gibril had been cut by the Raiders. Not everyone. Wilson came to Miami as a fine S. He probably still is when he is playing at SS. Not FS. He was drafted as a CB. Saban moved him to S for a little over a week after injuries hit Miami's S.
Don't be dense. Does it matter whether Troy Brown a WR played safety or CB as it pertains to the argument? He was moved to CB because of injuries by Saban. Then back to FS by Cameron because of injuries in 2007. Then back to CB by the Trifecta because apparently he doesn't have it upstairs to play FS in this league. All that said, he was drafted to play FS. Your argument doesn't fit because you failed to realize that Brown was put there due to injuries in the middle of the season. This thread is suggesting moving Allen to safety before the season starts for reasons that stem from being able to draft another cornerback, fill a need at safety, or just so he can get more playing time. Neither of which have anything to do with the situation with Brown in New England. So yes, getting your facts straight is not a "dense" thing to ask you to do. Well, I suspect Will Allen will be the nickel at least, if he wants to start again FS may be his best bet.